International early-stage startup investment firm Click Ventures has recently presented and published an extensive overview of what the global blockchain ecosystem looked like in 2018, put together with help from Tech.eu, Estonia’s Funderbeam and Oddup. The report we contributed to offers a ton of data points and insights, and best of all: it’s free of charge. You can download the report directly by following this link. According to the research, Europe was the second-largest ICO market in the world in 2018, both in terms of the number of deals and amount raised. Interestingly, it also came first in the average ICO round size, which almost reached $50 million. The report also features more data-driven insights, explanations of industry terminology and concepts, interesting blockchain use cases (and limitations) from across industries, an overview of corporates employing blockchain technology for various reasons, a list of consortiums and exchanges, miners etc., and much more. In short, it’s a must-read. And if you felt the urge to download the report and dive into it straight away, you certainly should also check out the first speakers for our upcoming Crypto Capital World summit, planned for April 3­­–4 in London. The world is moving into arguably the most interesting time for all things crypto, so we decided to bring together some of the most interesting and exciting speakers in the industry to discuss, argue about, and collaborate on the future of crypto. – Xenia Bogomolec, a mathematician with a career in scientific computer algebra, system- and web-development, blockchain technologies and IT-security. During the last years Xenia has worked in the banking sector and as a consultant for cryptographic algorithms in several other domains. – Merav Ozair, an experienced data scientist, quantitative investment strategist, cryptocurrencies and blockchain expert, and writer. Merav is currently developing investment strategies and trading strategies for hedge funds and works as a professor of quantitative finance. – Bruce Porter, CEO of GlobalBoost, an American entrepreneur who has taken a particular interest and has specific expertise in making the blockchain more accessible to the masses by bringing people and projects on live interviews and introducing a new hashing algorithm into crypto. – Ilja Laurs, founder of GetJar and Nextury Ventures and one of the most successful Lithuanian businessmen of the new generation. Being a technology visionary and entrepreneurship expert, Ilja regularly delivers reports in Harvard and Stanford universities, and also in the most important professional conferences. – Jonathan Knegtel, founder and CEO of Blockdata, a new startup that collects and publishes information on blockchain projects. Many more names coming and, of course, yours truly will be at the event as well. So what are you waiting for? 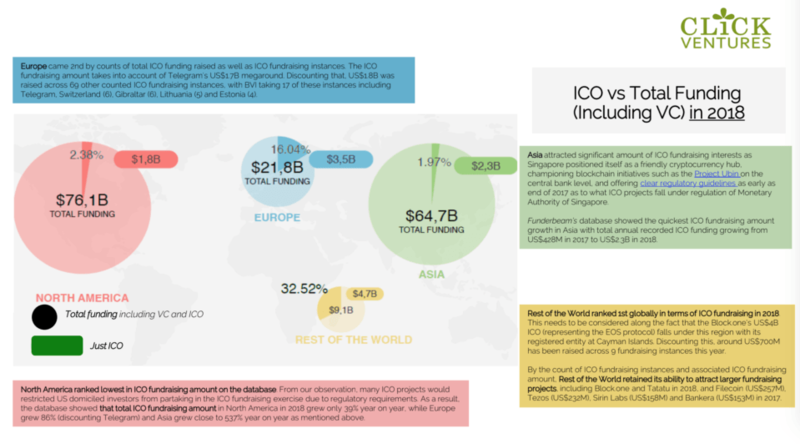 Get your tickets for Crypto Capital World and download the Blockchain Ecosystem Report 2018 right now!